Jabra None of the previous Bluetooth headphones that I have had the chance to use have really felt “right”. Many of them were either just like two enormous earbuds in each ear tethered to each other with a wire behind my head, or were too large to chuck in my slender laptop bag that I carted to uni everyday. The idea of cutting the cord between my head and my pocket was a good one, but there were just too many drawbacks. 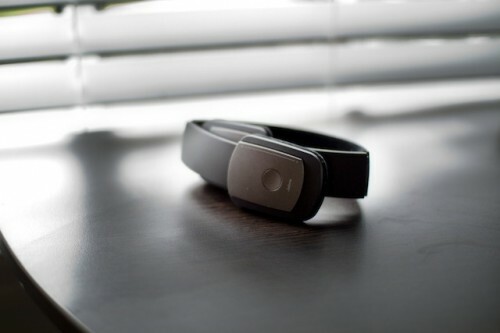 That’s until I tried the Jabra Halo, which has brought me that much closer to wireless freedom. The Jabra Halo are headphones first up, so they don’t make you look like you’ve been assimilated by the Borg with bits sticking out of your ears. 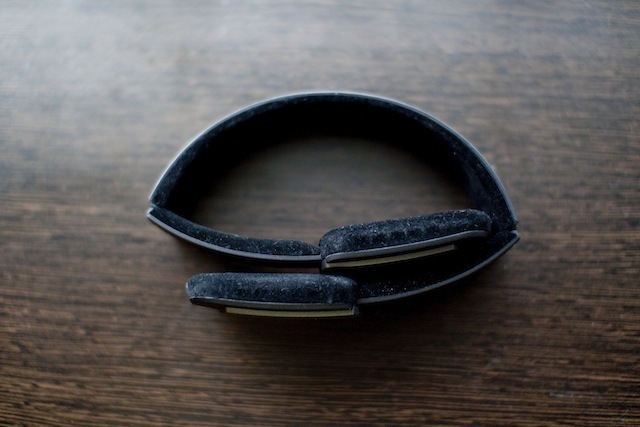 The back of the ear pads are finished in a dark sparkling grey, whilst the band is matte black. 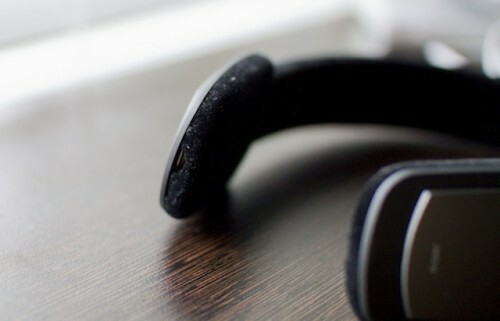 The headphones have a soft black lining on the inside which keeps them secure on your head. What makes the Halo headphones compact is that they can be collapsed into a package just over a inch thick, so they don’t take up too much room in a bag. This also has the added benefit of turning the headphones off, so you never accidentally leave them on to go flat! On the bottom is a standard microUSB port for charging, so you can charge these off a standard USB port without having to use some proprietary cable. Also a plus if you have a habit of misplacing cables. A new one is only a few dollars away on eBay. 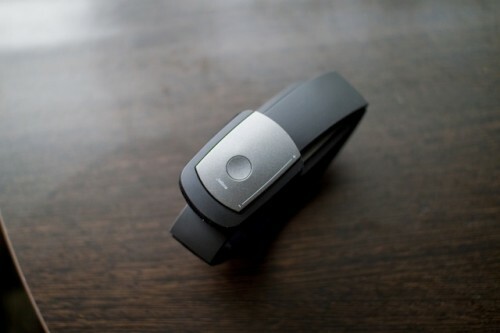 There is only one physical button on the Halo, which allows you to play/pause music and answer/end phone calls. Next to it is a touch-sensitive strip that not only controls volume, but next/previous track functions as well! Trouble is it doesn’t work very well. At all. No matter how much I practised with it I could not get it to do what I wanted on a regular basic. Sometimes attempting to change volume would change tracks, and others the volume would start changing up or down. When I did get the volume control to work, it was very difficult to control accurately. In short, it doesn’t work properly, best to stick to the buttons on your device for these functions. Since we are talking about headphones I suppose the issue of sound quality will be high on peoples list of things to consider (as it was on mine), and unfortunately this is where the Halo is a bit weak. The sound quality just wasn’t brilliant, with slight distortion and hiss evident when tested on both a 2009 MacBook Pro and an iPhone 3G. They also struggled to reproduce bass very well, so everything sounded a bit flat. This has been the biggest flaw with all the Bluetooth headphones I have tried, they just can’t get close to the sound quality of even an inexpensive set of earphones. One must also consider how comfortable the headphones are, since they may be worn for hours on end. The Halo is light, and the soft lining keeps them from sliding around on your head. What would have been nice is some small cups to create a better seal with you ears, as they do let in a lot of surrounding noise. Battery life was a strong point, with it taking less than 2.5 hours to charge and provide over 7 hours of listening time. Considering how many hours a day you’d typically use them for this should be enough for most people to get a whole day worth of listening time before charging them overnight. I’m left with mixed feels about the Jabra Halo headphones. 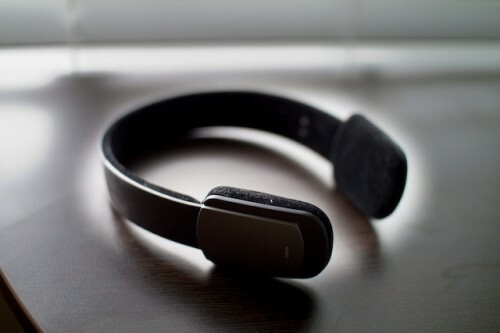 Whilst they look good, are reasonably comfortable, and fold down into a relatively compact package, they are lacking in sound quality and usability. 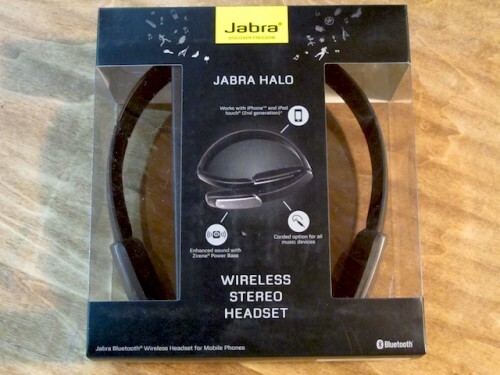 The Jabra Halo is available directly from the manufacturer and other retailers. Mitchell is a video producer and director working with Australia's leading motoring news sites and car companies. He's always on the go with a camera in hand. With a Bachelor of Creative Technology (Digital Video Production), Mitchell's worked for News Limited, CarAdvice.com and as a freelancer for many years.